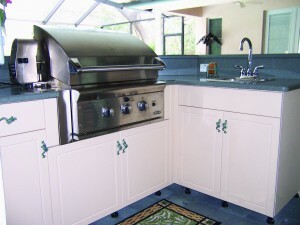 Customize your outdoor kitchen cabinets with a drawer or door pull that’s really something different! These whimsical frog pulls will make you smile every time you see them! Just make sure the hardware you select is like your Werever cabinets – made to be outdoors. 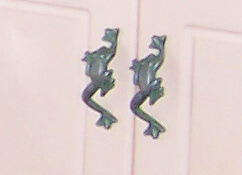 These little frogs have been climbing that cabinet for over 10 years, and they still look good as new. 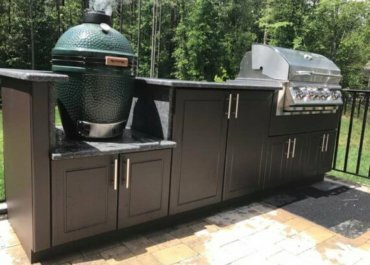 All you need is your imagination – and a Werever Outdoor Kitchen!